I turn to myArmoury sleuths with a request for help. I am looking for information about the sword in the photo below. All I know is that it is (or used to be) exhibited at the Armoury in the Staatliche Kunstsammlungen in Dresden. An inventory number would be great of course. Then further info can be sought. Is the sword possibly published somewhere?Any additional photos would also be very valuable. Very helpful. I am surprised by the blade form, but it seems to be the same sword. Very nice, even though I had imagined a longer, more slender blade. I especially like the hilt and the grinding in the upper part of the blade. Many other interesting things on the picture as well! Or almost like a leaf blade. 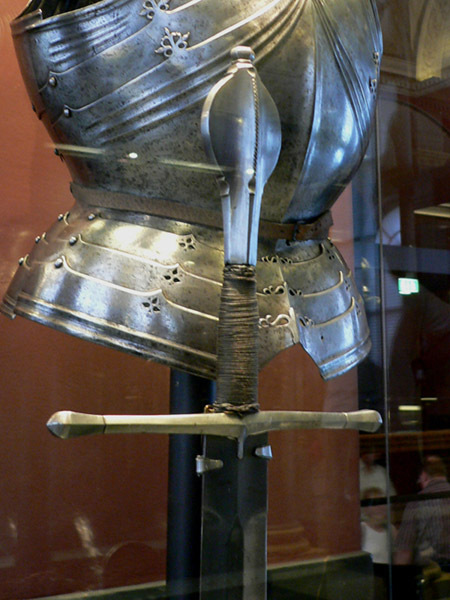 Maybe a blade inspired by " Classical Greek or earlier swords " in the way some period parade armours at times where inspired by Roman pseudo armour in the Renaissance when interest in the classics was influencing art and military tactics. Hmm, it does look quite leafy! IIRC a test here concluded that "anti-mail" thrusters have some difficulty with penetrating textile armour - judging from the clarity of the ridge at the point, I'd think it's quite stiff, and with that width, the edges could be sharpened to an acute angle without compromising stiffness, which IMO would result in an "anti-textile" thruster with awesome cutting ability. Looking at the pommel, it either has a rather heavy blade, or a very close PoB - the heavy blade version would imply lots of stiffness, the close PoB good maneuverability, neither doing any wrong for a thruster. Or I'm simply too tired and should sleep instead of writing possibly nonsense. It might contain more details? 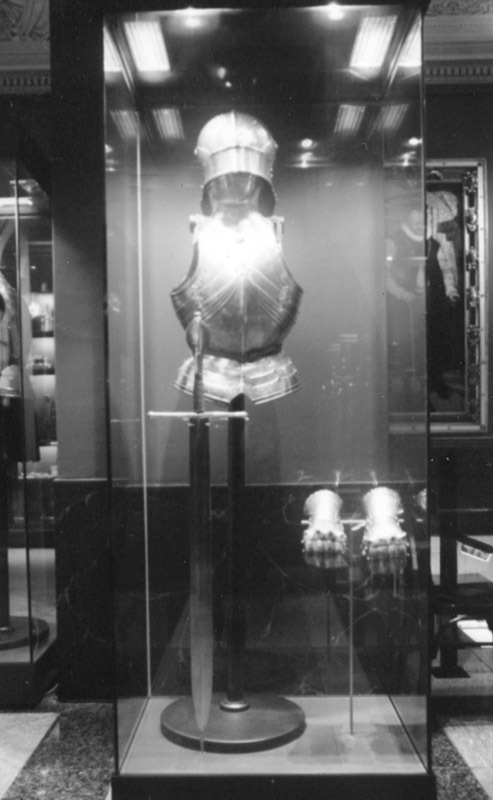 I am wondering what a seemingly european sword does in that exhibition. A gift from someone? To me the blade looks fairly straight, it only looks wider towards the tip because of the shadows, highlights and background... but hard to tell from those pictures. Wonder how it handles and why the blade has that shape... Is there any more examples of swords with that type of blade from the same period? The grip also seems a little bit short for a longsword? I'm afraid it's not very helpful, but I've found one photo I took in 2006. I am certain I took one other from the side of the case, a close-up of the pommel, but I cannot locate it. I'll keep digging and see if I come up with anything else, but it is an elusive part of the collection, it seems. That is very helpful indeed! And it seems this sword actually widens towards the point. I was not sure at first from seeing the first image, but your photo makes the feature come out clearer. The grinding of the blade shows some experimental spirit, not only the fact it widens towards the point. This sword only grows more and more intriguing. If you can find any more data, it would be great, but I have already learned more that I could hope for. Greetings from Lausanne (where I am currently trying to sell some Albion swords). At a booth very close to mine they have a book on swords and on the cover I thought I saw the one you are looking for. But it wasn't that one - the pommel with filework, ornamentation etc is scarily close though - must have been a popular style once. I have attached a couple of pictures from the book. Anyone know where this sword is now? Anyone who has seen it, how thin is the blade towards the point? Is it hollow ground on that half? 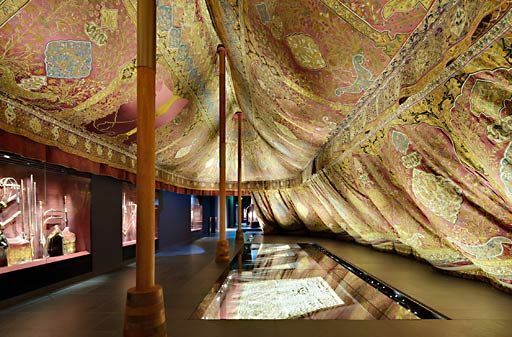 It was at least displayed in "Die Türckische Cammer" at the Armoury in the Staatliche Kunstsammlungen in Dresden at the opening last year. That is where the pictures in my posts are from. Yes, the pommel is similar to a few other swords. 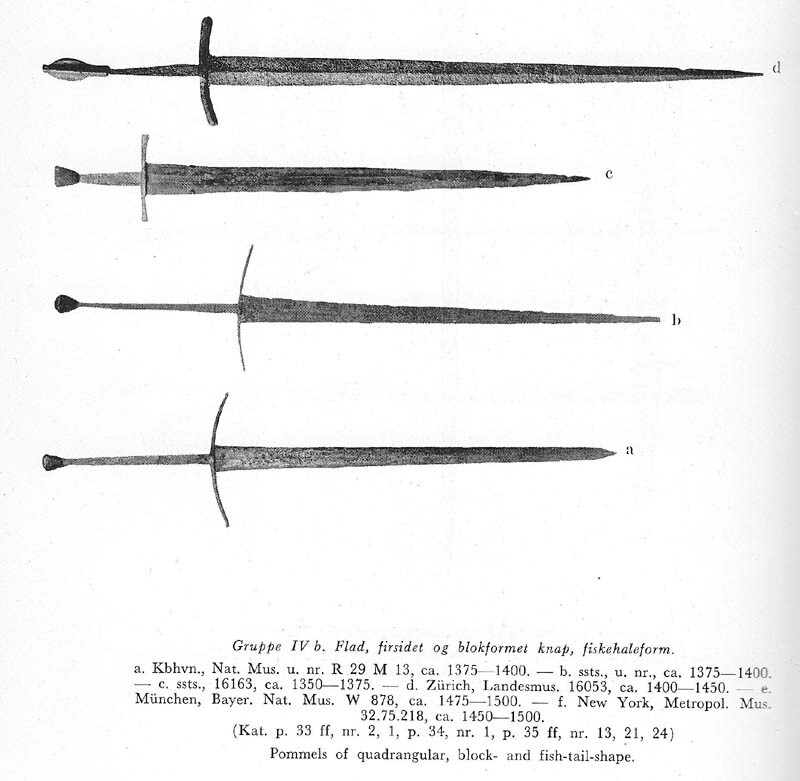 That was one of the primary reasons I wanted to learn more about the Dresden sword. It is, I think, the most beautiful example of the group that I have seen to date. And then it turns out that the sword is *really* interesting. Thanks all who have contributed so far. It has been very beneficial. I wonder why the sword is exhibited together with Turkish weapons. I wonder if the blade has koftgari decoration, and because of this looks Turkish. This kind of decoration is sometimes found on western swords, but it is usually a 16th and 17th century feature. I do not know of any examples of the late 15h th century. Maybe the sword is early 16th century? I would have guessed last quarter of the 15th century. Zonhau documented this beauty, which is probably more like what we would have expected from the hilt view Peter provided. My Guess: A popular hilt type usually seen on longswords of the type XVIII but in this case what seems to be a one hander with an unusual blade that may have been made for someone with " imagination " wanting something different ? Custom period " fantasy " work or design ? ( Fantasy used loosely and meant in a positive way, as not following period fashion and designed with either aesthetics and/or some specific use in mind ). Since the design of the hilt is so pleasing one could reproduce it but use a more typical type XVIII blade as well as reproducing this sword's unique blade if Peter can somehow get some reliable statistics about it and better yet get to handle and measure it himself. No further information, but I did come across this in my reference files. If one only looks at the blade is resembles the " Conan" sword in the section of the "Conan " sword below the bronze framed ricasso. Very " early " movie sword. There is some likeness in grinding/ cross section of the blade of the Dresden sword to a fine early Swabian/Swiss katzbalger from the Sir Samuel Rush Meyrick Collection (now resides in the Royal Armouries, Leeds? ).